Dr Helen Smith is a holistic medical doctor registered with the Medical Council of NZ and working in Nutritional & Integrative Medicine. She works from a private clinic: Auckland Holistic Centre, 4 Brickfield Way, Freemans Bay in Auckland Central, New Zealand. Dr Helen Smith's areas of work include hormone balancing and helping work with energy and health checks. Dr Helen does compounding pharmacy prescriptions for bio-identical hormones to support menopause and hormone balance. She also can help in other specific health areas using nutritional medicine. 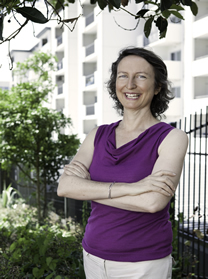 Dr Helen draws on a wealth of experience in the medical and natural health fields and has completed post graduate studies in nutritional medicine. Her medical degree is MBBS (1991) and she is a Fellow of the Royal New Zealand College of GPs. Women, men, children and teens come to see Dr Helen for health and wellness holistic advice. Dr Helen is a registered medical doctor, but recommends you keep your own local GP and hospital services for medical emergencies & routine medical visits for prescription medications. For routine GP matters use your local GP and see Dr Helen for holistic nutritional medicine. You can discuss what nutrients or integrative approaches will help you as you work towards your personal or family health goals or through life changes such as the menopause and hormonal changes for women.